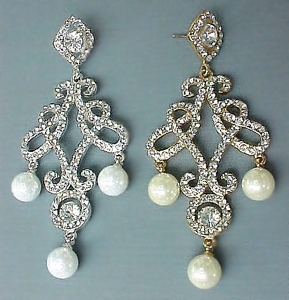 Our Molito Faux Pearl Earrings can hog the scene. You won't need a necklace with these beauties. 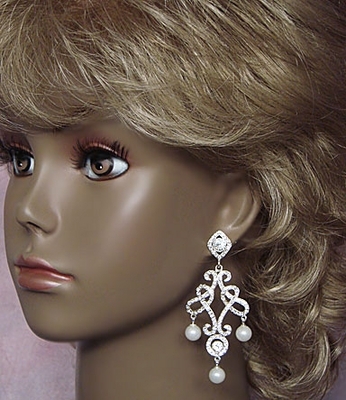 These measure 3" long and 1-1/4" wide at the center and come in Silver with White Faux Pearls or Gold-Plated with Ivory Faux Pearls with genuine Clear Crystals on its body. BEST SELLER.